It is thought that the first organized golf played in America was on Harleston Green, undeveloped pastureland near the corner of Pitt and Bull streets. In 1743, Charleston merchant David Deas received a shipment of 432 golf balls and ninety-six clubs from Scotland. Golf historians suggest that the early game was played without a set number of holes, no greens, and no designated teeing areas. Players used clubs to move a ball across the field and into a crudely dug hole in the ground. Because the holes were not clearly marked, golfers sent "finders," forerunners of today's caddies, to stand by the hole and alert others of the approaching shot by yelling "fore." After completion of a hole, a player would tee off at a distance of two club-lengths away from that hole. Equipment included a ball, or "feathery," made of leather and stuffed with feathers while clubs consisted of a "play club," a series of "woods," and a utility iron for tight spots. Enthusiasts organized the South Carolina Golf Club on September 29, 1786, and five years later announced its anniversary in the City Gazette. 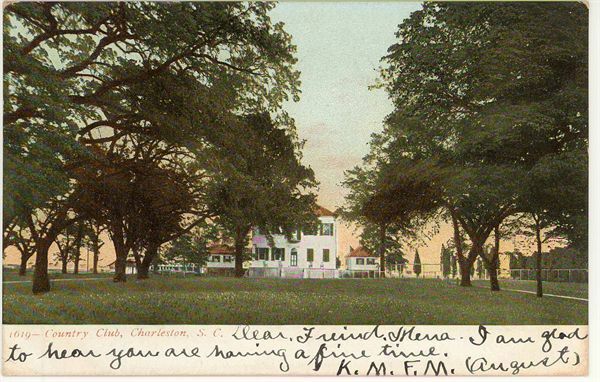 Charleston golfers moved north to the Chicora Golf Club Links in 1899. When the City of Charleston sold Chicora Park to the United States Navy in 1901, the Charleston Country Club bought Belvidere Plantation, closer to the downtown homes of most of its members, and laid out the Belvidere Golf Links. In 1922, after the sale of Belvidere to the Standard Oil Company, which established a refinery on the Cooper River waterfront, the club bought 936 acres (700 acres of it marsh) of McLeod Plantation on James Island. Landscape architect Seth Raynor, renowned for his golf course designs, laid out an eighteen-hole course on the club’s 236 acres of high ground. 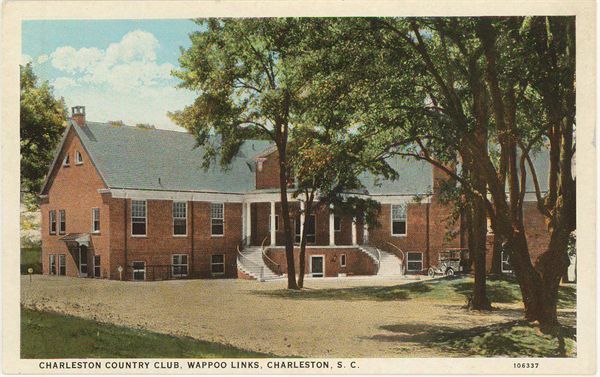 The Wappoo Links, with its clubhouse set atop the Civil War-era Battery Means and overlooking Charleston Harbor, opened in 1925. 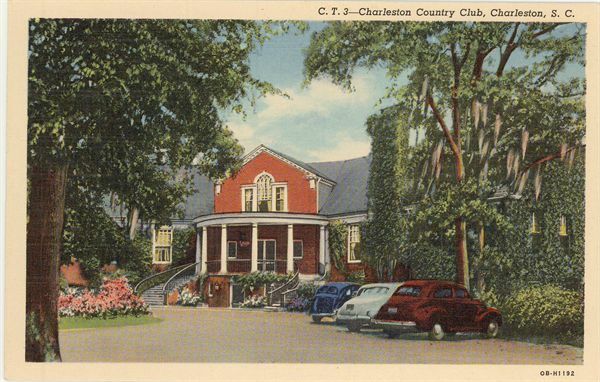 The golf club was reorganized in 1935 as the Country Club of Charleston. Price, Charles, and George C. Rogers, Jr. The Carolina Lowcountry, Birthplace of American Golf, 1786. Sea Pines Company, 1980. Haines Photo Co., circa 1910. View of Belvidere Golf Links. View of Country Club at Wappoo Links on James Island, circa 1925. Clubhouse at Wappoo Links, ca. 1940.